The quintessential Italian dish, pizza, has attracted millions of appetites around the world and I have enjoyed warm slices of pizza in nearly every country I have visited. But while it’s easy to gratify hungry people with a big piece of fluffy pizza with steaming sauce and melting cheese, high quality pizza is not always easy to come by. This is why I have been pleasantly surprised to find an excellent variety of good pizza here in Belgrade. My favorites so far, have been these outstanding restaurants where the pizza takes the center stage. 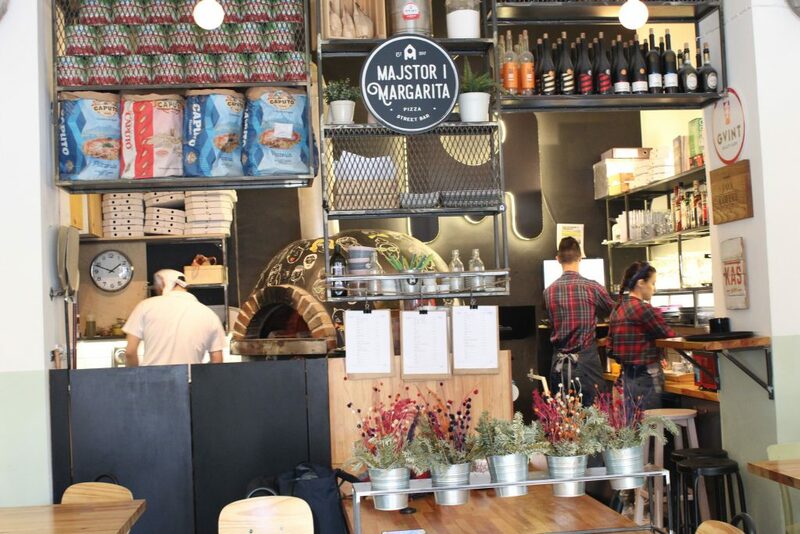 The Pizza Bar restaurant is like a bee hive – buzzing with happy crowds and emitting the oven-baked aromas of pizza. 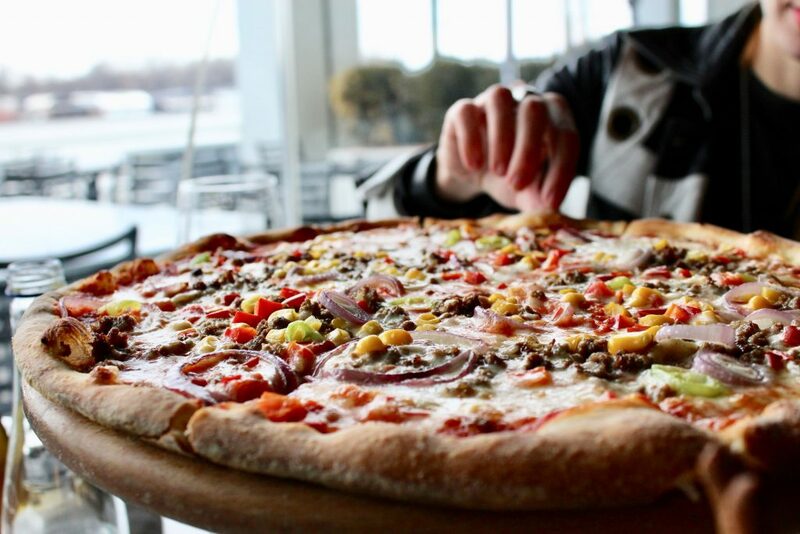 While pizza is their main dish, their menu is big, consisting of both Italian and non-Italian dishes, and including breakfast through dessert. Their Chicago style thick crust pizza, which is fluffy on the inside and crispy on the outside, makes the Pizza Bar unique and irresistible. It is just a perfect comfort food that is also gourmet when it comes to quality and taste. Another special thing about their pizza menu is that they offer pizzas that are made with black dough! THAT is entertaining as well as tasty. Their drink menu is also satisfying, offering a generous variety of beers, cocktails, and wines. There are two Pizza Bar restaurants: one in New Belgrade, and the other in Vračar, which is where I usually go to. Here, they have a vast room with large windows that let in plenty of bright day light, and have a view of St. Sava Church. The restaurant is usually filled with people, young and old. For families and people concerned about smoking, Pizza Bar has a separate non-smoking zone, which I love. Their ventilation is also efficient, so it doesn’t feel too smoky even in the smoking section. The service is quick, pleasant and helpful. 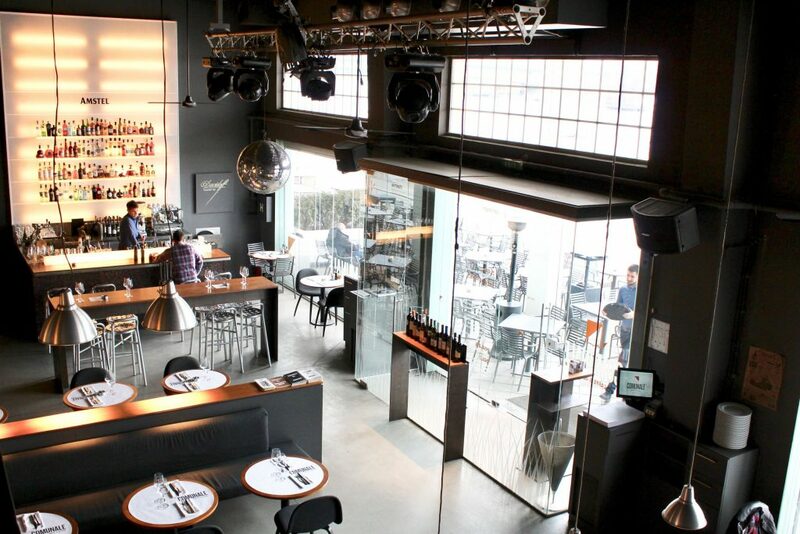 The atmosphere is casual and upbeat, and the space is capable of hosting groups of all sizes. Majstor i Margarita – foodies beware! 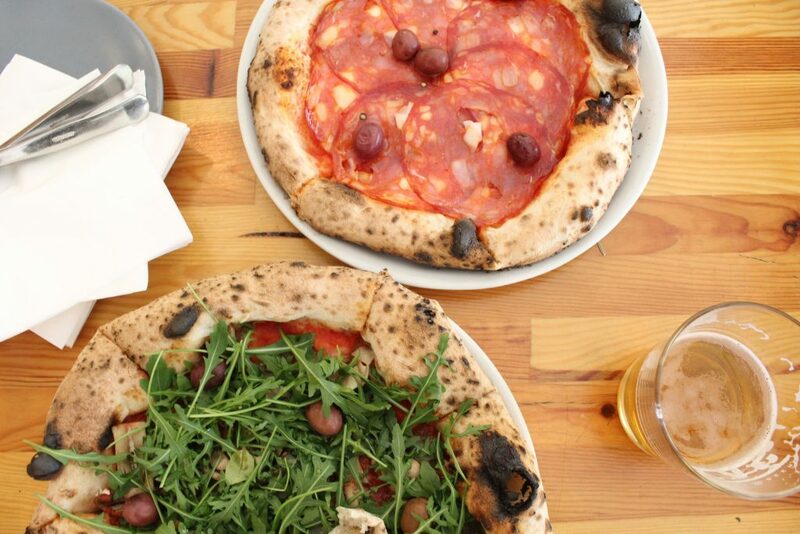 Majstor i Margarita is a place where pizza is so creative that the pies look like appetizing painters’ palettes. The sauces and toppings are colorful, fresh and delicious, and their crust is soft and chewy. For those who crave artisanal pizzas, this is the place to be. It is perhaps the closest you can come to eating a home-cooked pizza, as their oven – which is decorated with funky art – is in the same room as the tables. They also offer individual size pizzas which is convenient if you are walking around alone or during workdays. With friends, it would be fun to order many different kinds of pizzas and enjoy the variety. 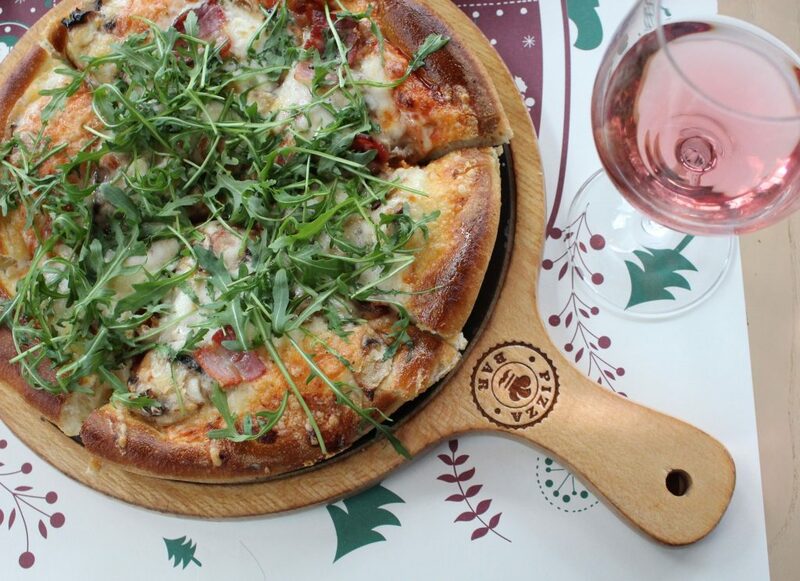 Majstor i Margarita also has craft beer such as Kaš, which goes perfectly with their flavorful pizzas. Located on Balkanska street, the pizzeria is hidden but not far from the crowds meandering around Hotel Moskva. The space inside Majstor i Margarita is small, cozy and perfect for getting together with friends and colleagues. The atmosphere is easy going and welcoming, and the service is very pleasant. Smoking is allowed inside, however, so I can’t recommend it for kids. Perhaps, in warmer weather, families could enjoy their pizzas in their outdoor seating area, which is what my family and I will do when spring arrives. 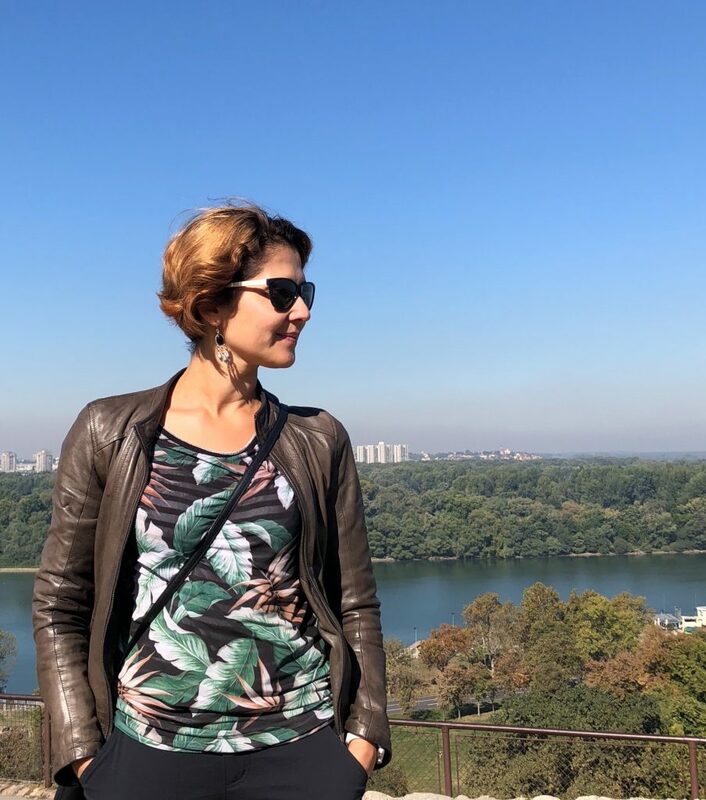 Among the rows of restaurants on the Sava river sits Comunale, where people can enjoy the pizza with the view of the river. Their menu is quite expansive and would satisfy any cravings, but their pizzas are not to be missed. Thin-crusted, crispy and delectable, the sauces, vegetables, meats and cheeses are perfectly portioned for the pie. Here, they also offer a small starter (on the house) – soft bread rolls and crispy breadsticks with olive oil. They are fresh and addictive, especially with a glass of Pink Punk – a tasty Serbian rosé. The location of the restaurant is what makes this place very special. Coming here for lunch can be peaceful, as the view of the river has a calming effect. In warmer days, I assume Comunale will become a busy restaurant flooded with both tourists and locals drawn to the riverside. At nights, the place likely attracts large parties and fancy people. The interior of the restaurant is minimalist, elegant but buoyant, and the service professional and helpful. Smoking is allowed, but they offer separate sections and the ventilation and the large space would allow for a comfortable experience even if most people are smoking here. 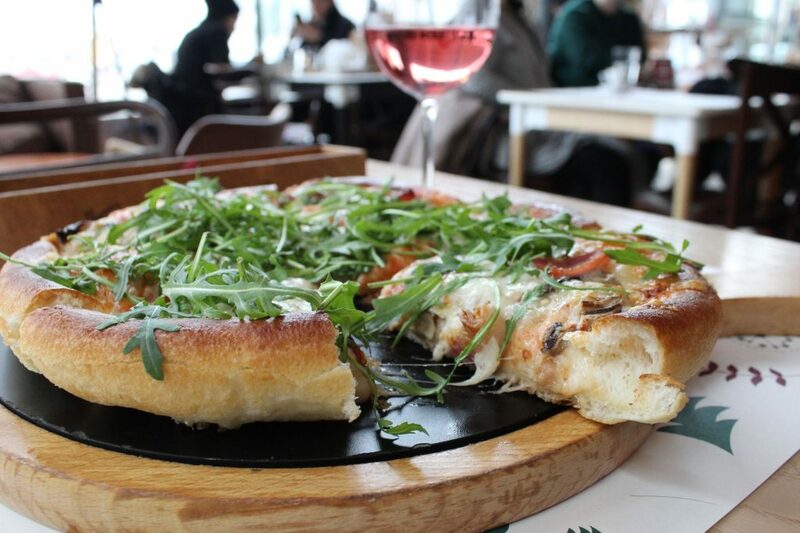 I would choose Comunale on special occasions when I crave quality pizza, a good drink and an upbeat mood. 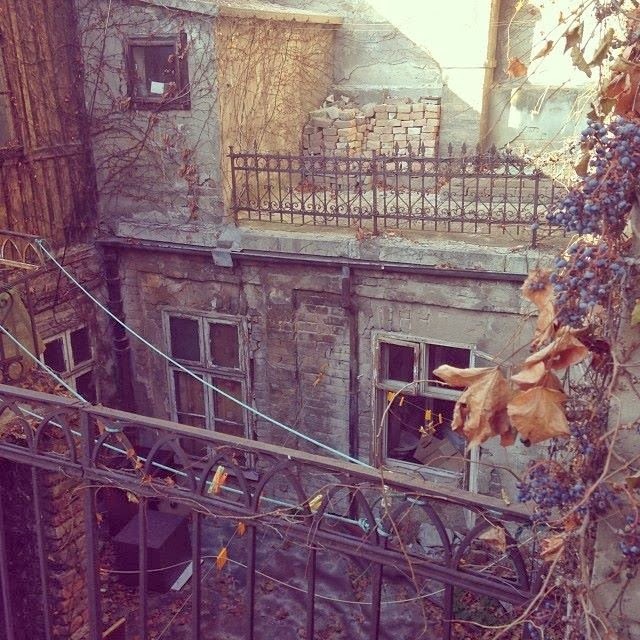 I would also go here for a pizza stop on a warm sunny day, after a long walk by the river and a hike around Kalemegdan. I am looking forward to spring to do just that! Musicology Barcaffè Sessions: Spring season in Belgrade! Ja bi na listu dodao i Di Napoli (dinapoli.rs) za koji je jako pohvalni što je u pitanju nepušački lokal.